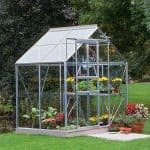 This 12 x 11 greenhouse has a wealth of features that make it a truly valuable piece of garden equipment. 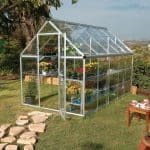 It has a generous 10-year warranty for starters, so you know you are covered against damage. 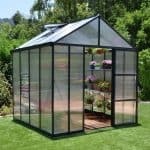 Two Louvre vents are included as part of the purchase, and these are very stylish, standing apart from the other greenhouse windows, and therefore looking like they are part of a house. It’s a nice effect, and it also gives you that extra ventilation you require. 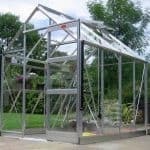 The frame of the greenhouse has been crafted from anodised aluminium. This is high quality framing, and it actively prevents rust from being a problem with the building. 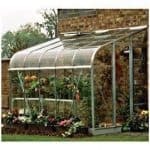 As regards protection, the roof of the unit has a UV resistant coating that helps to prevent damage, and protects the interior of the building. 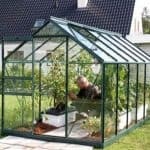 The high eaves make for a greenhouse that can easily handle taller plants and gives you extra head height as well. 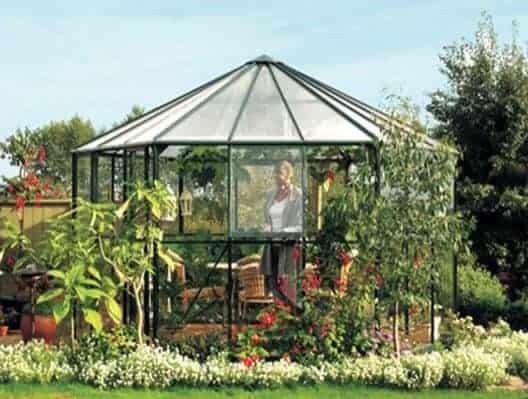 All in all, this is a luxurious building that will enhance any garden easily.